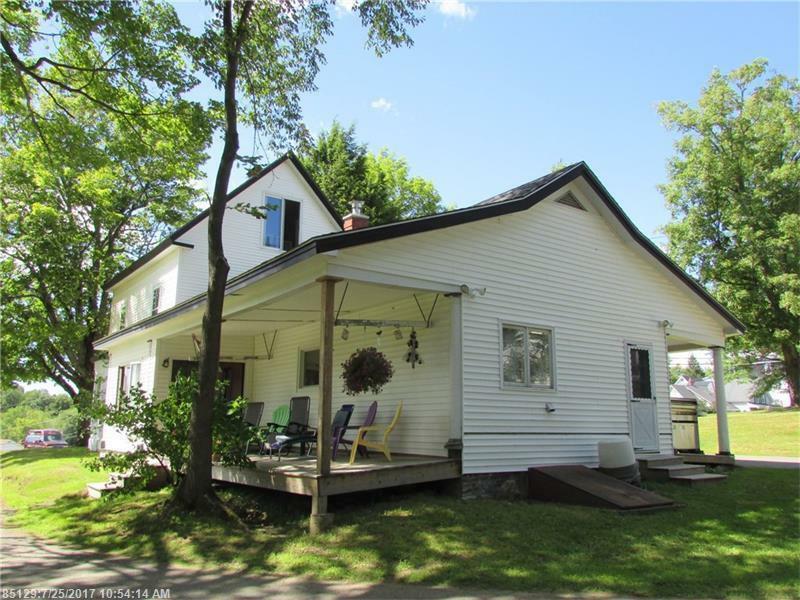 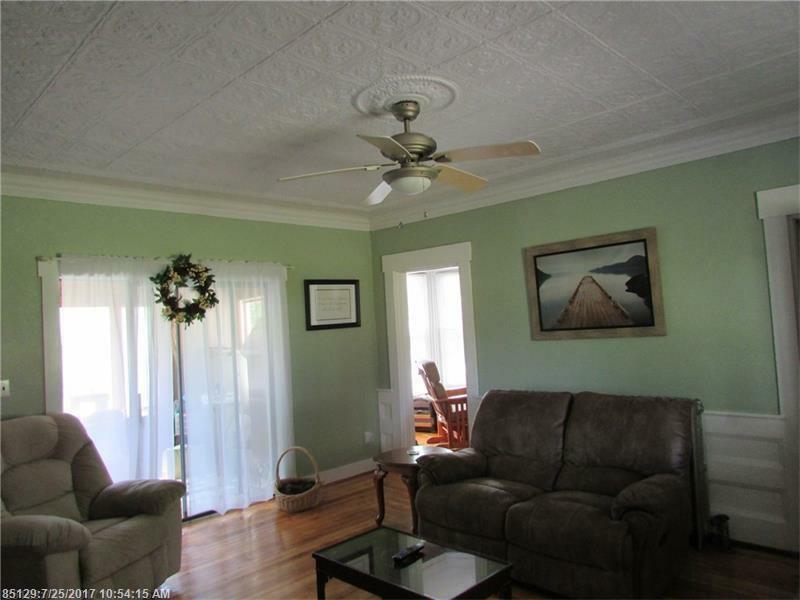 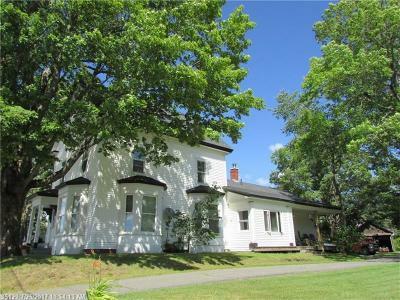 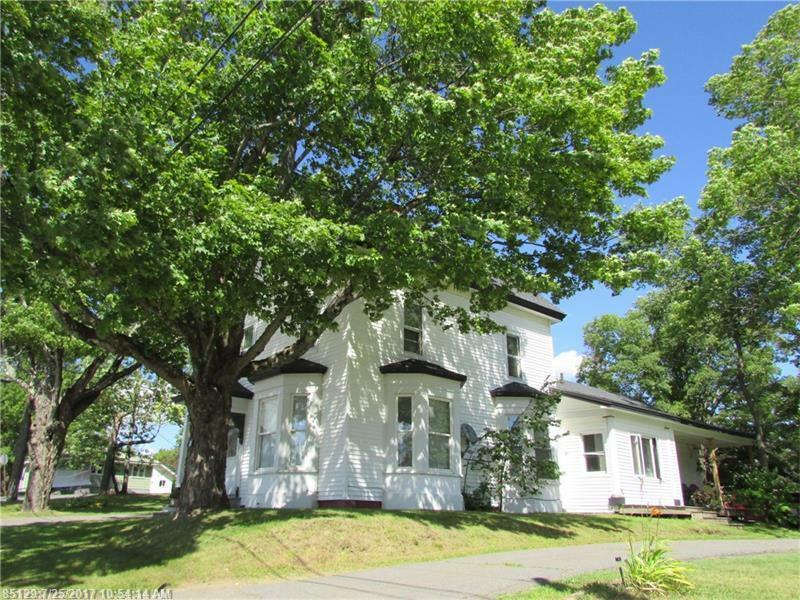 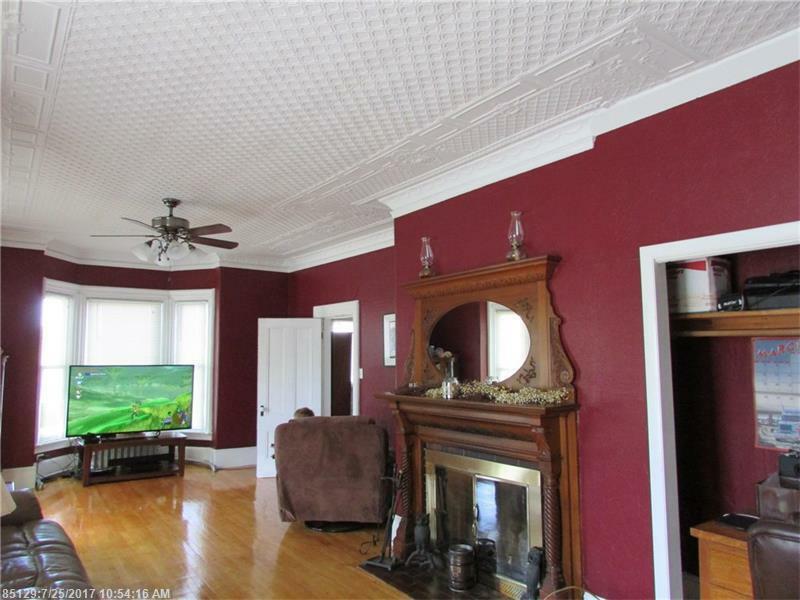 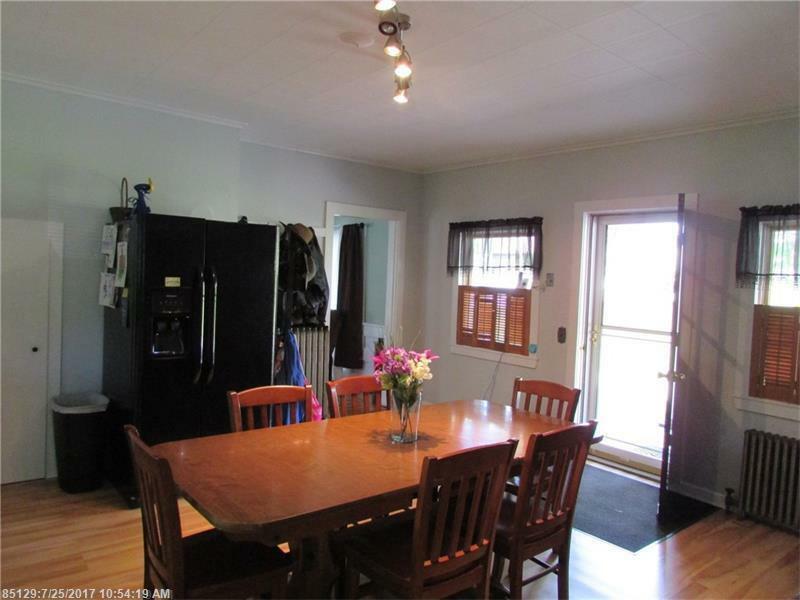 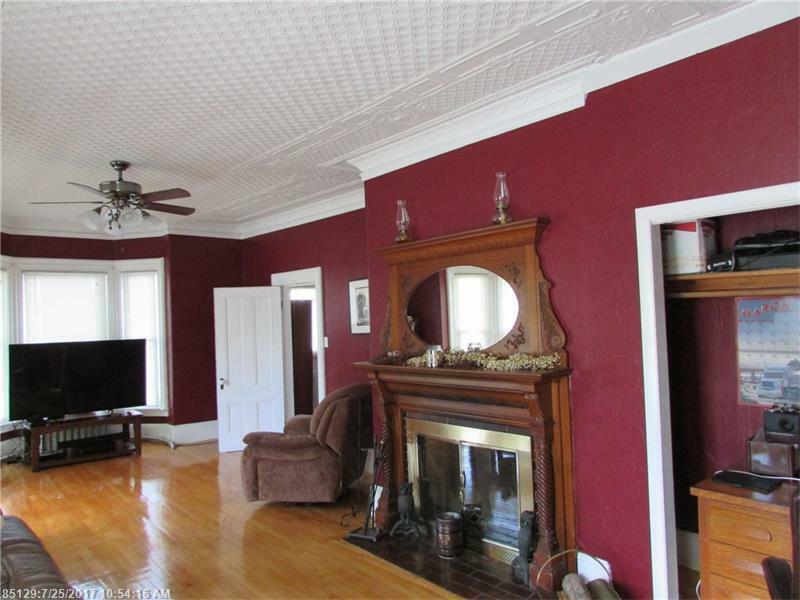 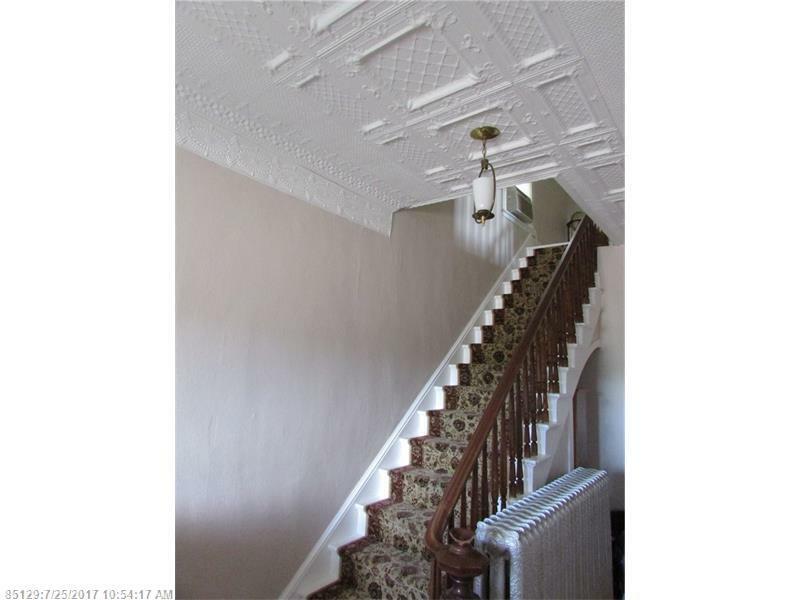 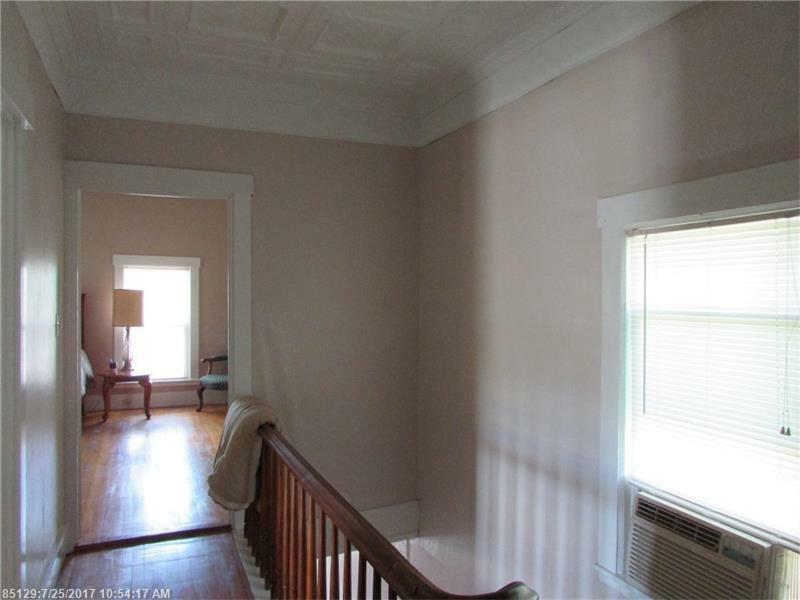 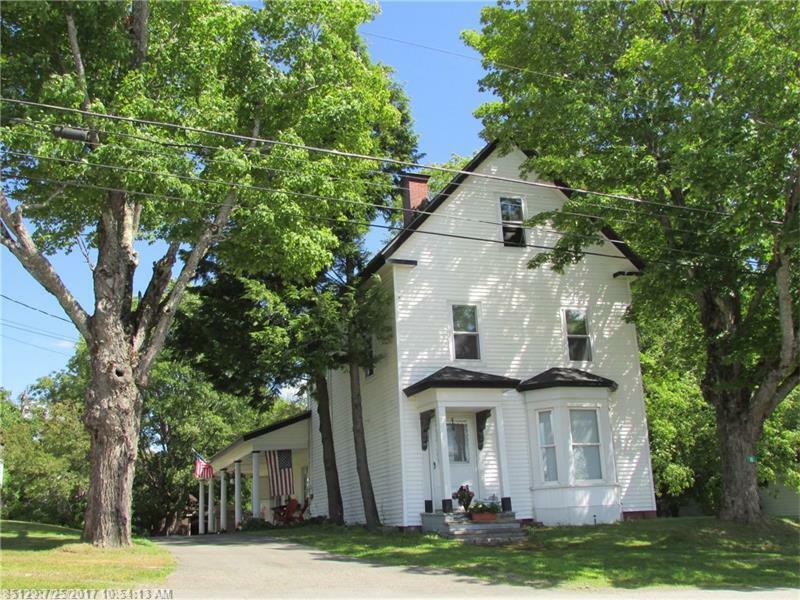 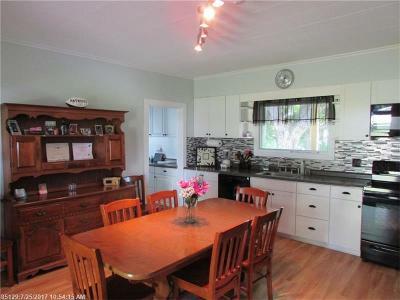 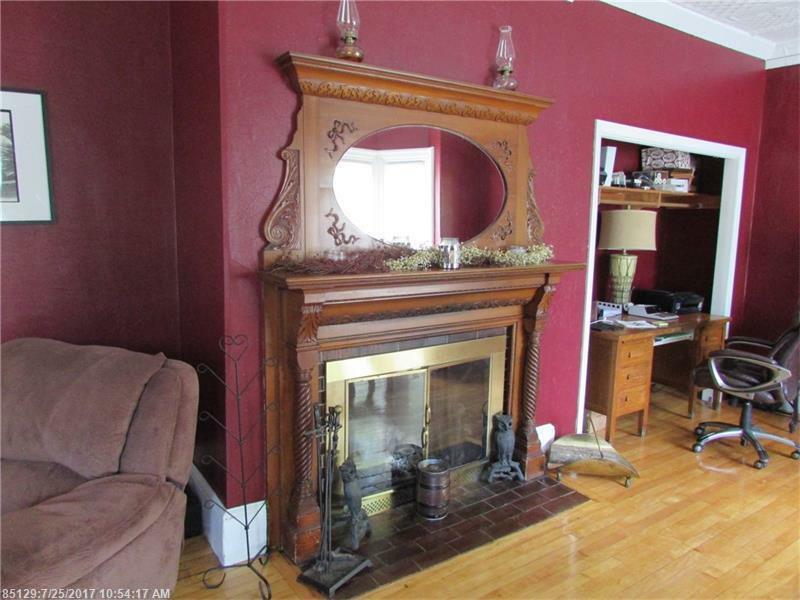 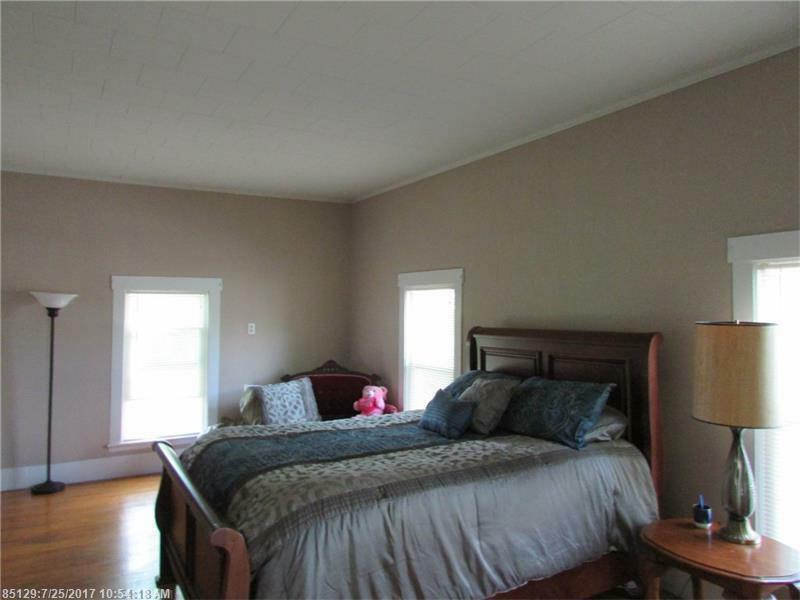 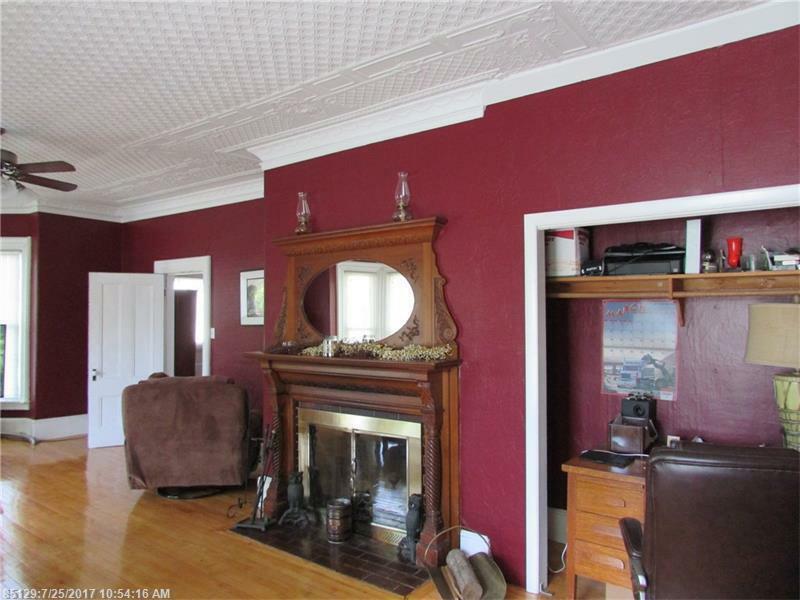 Turn of the century Victorian home boasts beautiful original woodwork, tin ceilings and fireplaced living room. 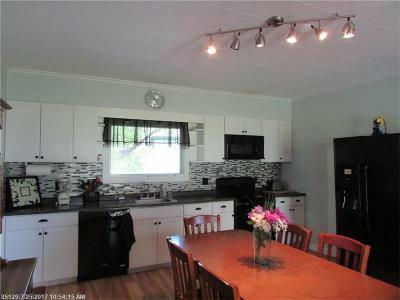 Modern kitchen with pantry/laundry. 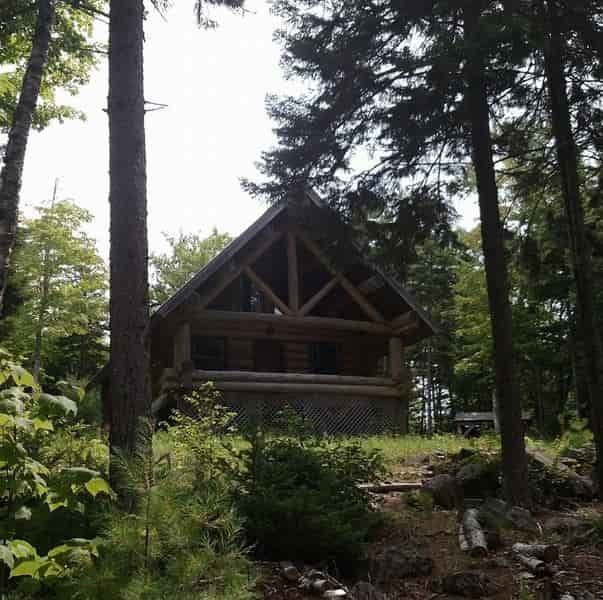 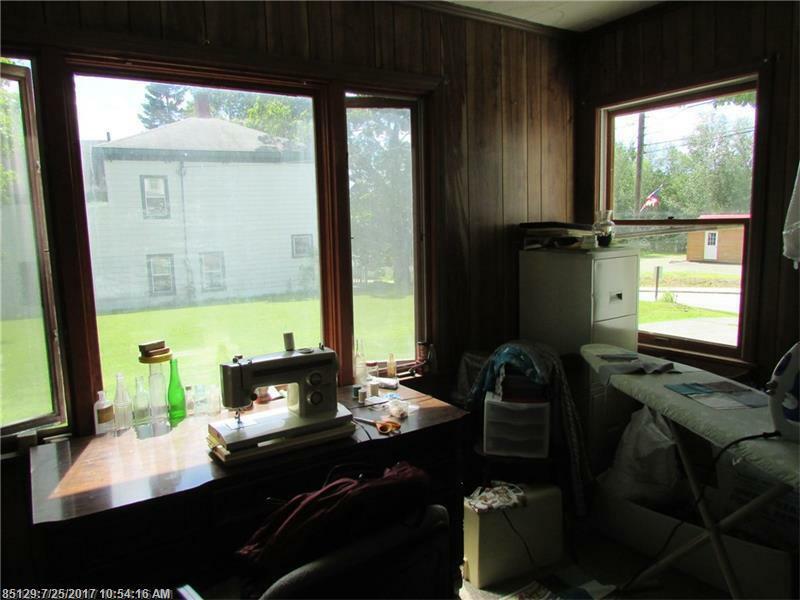 Vinyl windows and siding. 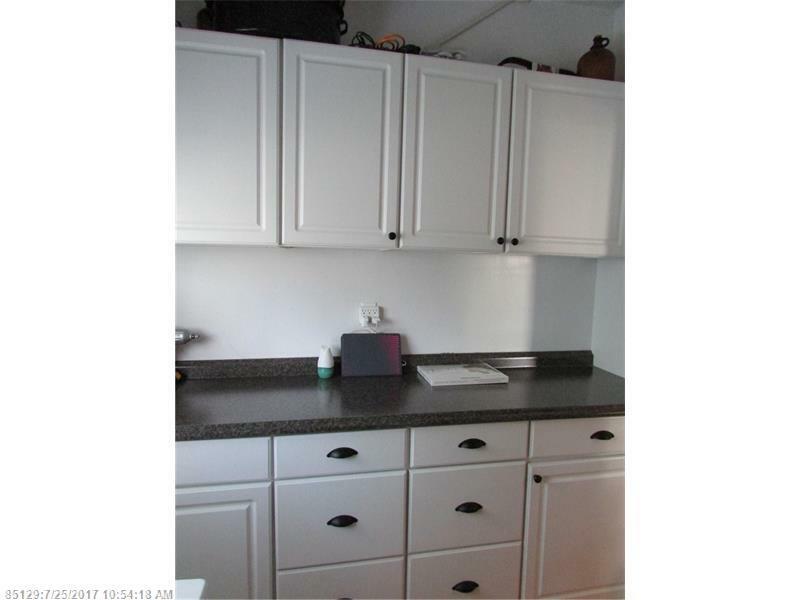 Oil boiler with wood boiler being installed. 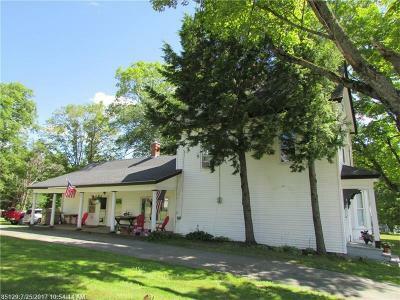 Open porches and enclosed sunporch. 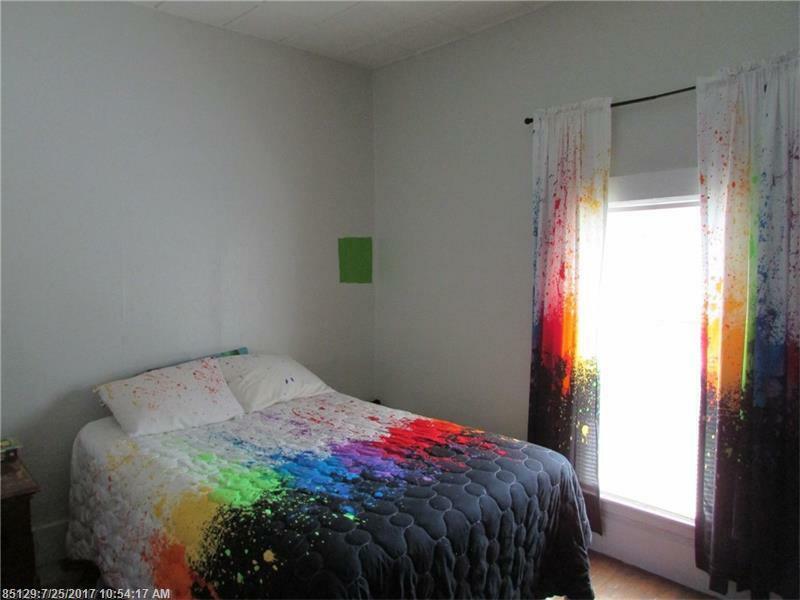 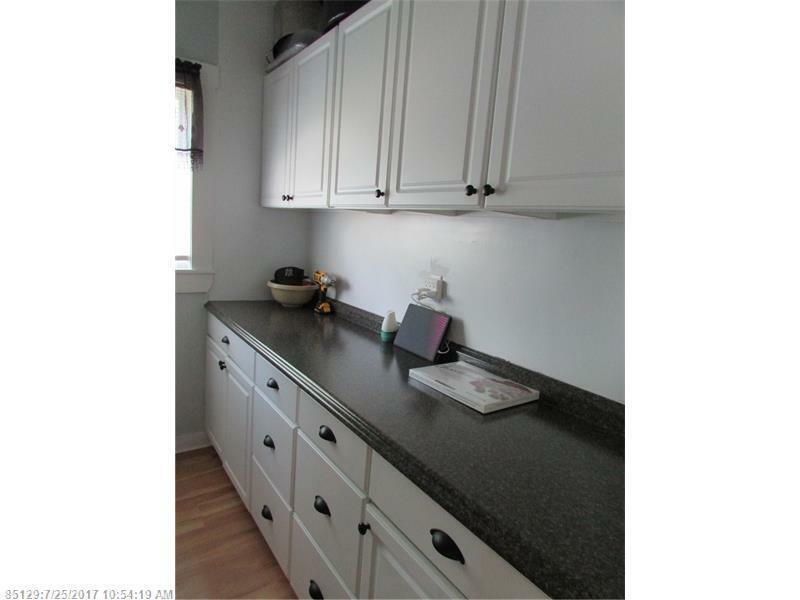 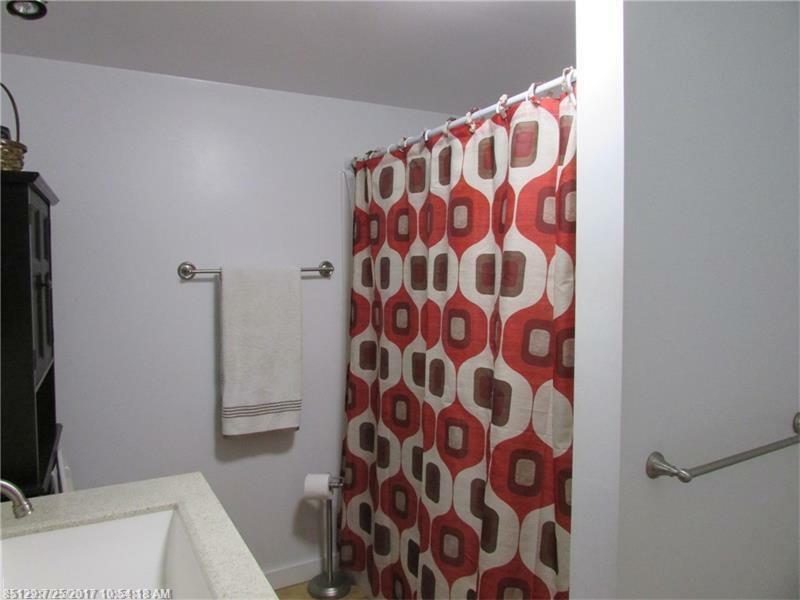 Corner lot in heart of quaint village. Near East Grand and several other lakes.